Burger Lounge, the new burger joint on Oak Grove Rd., is making its first foray into Northern California with its Walnut Creek location. Rooted in San Diego, they are well-known for their grass-fed beef, craft sodas, huge salads, half-and-half fries and onion rings and delicious shakes. The decor is fresh and stylish; I saw lots of people comfortable and conversing. Burger Lounge also serves wine and local craft beer (Calicraft at the Walnut Creek location). Maybe the coolest aspect of the Burger Lounge mission is that they try so hard to make food that tastes good but is also as sustainable as possible. As mentioned, their burgers are grass-fed and they avoid a lot of the processed ingredients other places use. I really liked my burger. I got mine to go and it was gone before I hit 680. Overall, I give Burger Lounge FIVE Mt. Diablo’s! Give it a try and let me know if you agree. Author KristinPosted on April 25, 2017 April 24, 2017 Categories Featured, Local Businesses, Restaurants, Walnut CreekTags beef, beer, Burger Lounge, Calicraft, fries, grass-fed, hamburger, ingredients, Kristin Lanham, local, Northern California, Oak Grove Rd., onion rings, real estate, salads, shakes, Southern California, sustainable, Walnut Creek, Walnut Creek Lifestyle, wineLeave a comment on Burger Lounge, Hella Good! I love these cool ducks at the new Arroyo apartments at 1250 Arroyo Way in Walnut Creek. It’s one of the most unique pieces I’ve seen around town at any of the new complexes. Did you know: The Walnut Creek Public Art Program was adopted in 2000 when ordinances requiring funding and the inclusion of public art in new development and renovation projects was passed by the City Council? I think that’s a wonderful idea! 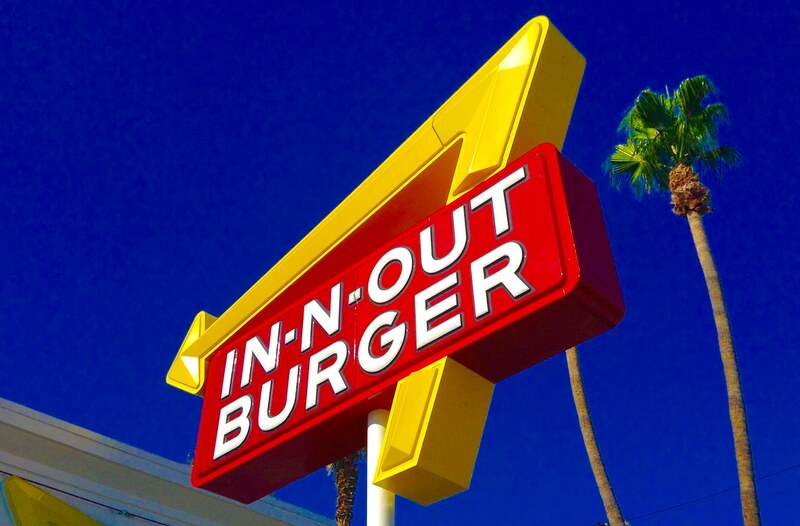 Are Walnut Creek’s In-N-Out dreams dead? According to ABC7, the new In-N-Out location Walnut Creekians have been salivating over might be in trouble. Apparently, a community near the proposed site (N. Main St. at Second Ave.) of the new location is trying to stop the construction because of the expected long drive-thru line that will cause traffic and late night noise. The city has not taken a stance yet, and the owner of the property already has it zoned for a restaurant, so it may very well still happen. Would In-N-Out have a restaurant without the drive-thru window? If so, how will In-N-Out feed all the folks who don’t want to leave their cars to eat their fast food? Anyway, the local community rightly likes its quiet, peaceful street and think there is already a plethora of fast food restaurants nearby, making In-N-Out unnecessary. My son will be bummed, I for one am indifferent. They are not my favorite, the patty is too small…stay tuned for future blogs on our areas burger locals. This would look great on N. Main St. Just saying.In all seriousness, it looks like the city will plan a few public hearings after they review the proposal again. It remains to be seen if the local community will have their way, or if residents of Walnut Creek will be able to save themselves 10 minutes of driving on 680 (in either direction…) for those juicy burgers. For what it’s worth, the anti-In-N-Out petition on Change.org has about 10 times as many signatures as the pro-In-N-Out petition. At least our town gets involved. Author KristinPosted on April 18, 2017 April 18, 2017 Categories Featured, Local Businesses, Walnut CreekTags ABC7, burgers, Change.org, city, delicious, downtown, drive-thru, hearings, In-N-Out, Kristin Lanham, local community, N. Main St., news, owner, peaceful, petition, property, proposed, protest, public, quiet, real estate, restaurants, Second Ave., stop construction, Walnut Creek, Walnut Creek Lifestyle3 Comments on Are Walnut Creek’s In-N-Out dreams dead? Tucked away in front of a building on Cole Ave. (off N. California Blvd. by The Counter), is a cool sculpture called “Sparks.” I never would have noticed it if not for looking up while I was walking by. The sculptor is Linda Fleming, a longtime sculpture professor at California College of the Arts. She has three major pieces at the Oakland Museum, which you can see HERE, HERE and HERE. Lesson learned: always pay attention to your surroundings so you don’t miss anything! Newell Promenade becoming apartments soon? I have some unsurprising news, fellow Walnut Creekians: another block of high-rise apartments is expected to go up in the downtown area soon. This time, it’ll be where the Newell Promenade is (360 Burritos, former home of Taxi’s, etc. ), across from Kaiser. A developer bought the commercial space and they want to develop it into a mixed space with retail on the bottom and more apartments above. It would include a 5-story, 120,574-sq. ft. building with 102 residential apartments, more retail than is currently in the plaza, plus two levels of parking. There have been discussions about utilizing the creek in that area; I can see a restaurant with a patio overlooking the creek, but then where would the front entrance be? The developers who bought the buildings in the Newell Promenade have had conversations about presenting ideas formally to the Parkmead and other surrounding neighborhoods. So far, they’ve had two conversations with members of the Parkmead Community Association but only got some basic input and opinions; not a representation of the entire community. There have also been some informal meetings amongst home owners and attendance at the planning committee. Walnut Creek City Council asked the group to prove more what they want to do and to make the presentation more user-friendly. Then we will see how it works out. I asked my favorite cleaners – Vogue, who currently are doing business in the Newell Promenade, what their thoughts were. They think it will be a few years out before anything happens and they have another two years on their lease, so they can’t worry about what will be and only continue to focus on their business. My biggest concern will be how much the rents will go up and whether my cleaners will be able to stay at that location. You can get more information on the development proposal at this link. Also, on a sidenote, the city is finally putting in a z-shaped crosswalk to make it safer. We won’t have to worry about running over people scurrying across that busy road between Kaiser and Newell Promenade! Author KristinPosted on February 28, 2017 February 28, 2017 Categories Featured, Local Businesses, Walnut CreekTags #condos, 360 Burrito, apartments, crosswalk, downtown, Kaiser, living, neighborhood, Newell Promenade, parking, Parkmead Community Association, retail, Taxi's, Walnut Creek, Walnut Creek City CouncilLeave a comment on Newell Promenade becoming apartments soon?